I had made a german video about the Canon EF-S 24 mm f/2.8 STM all-round APS-C-lens, a more less than more spectacular lens for APS-C-cameras. Nevertheless it is a kind all-rounder. – Now here is the english video, not simply as a translation of the german video, but really an original video with some additional examples and pictures. Canon takes us by surprise with this cheap EF-S 24 mm f/2.8 STM ! The EF-S 24 mm f/2.8 STM is very unspectacular – but offers very surprising results. This lens does not try to be a specialist in any use. It is rather more an all-rounder. It is rather more the not conspicuous companion and the completely unburdening assistant. 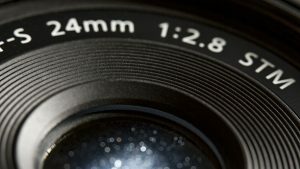 So this special lens only for APS-C-cameras has really deserved some attention! While this lens with complete justification fights for a silver or bronze medal I needed to offer you a review via youtube. For me it was the neccessarity to have a lens with a shorter focal distance than 35 mm. At the same time offering better results than the EF-S 15-85 mm f/3.5-5.6 IS USM. It was my inner refusal to pay the money for an EF 24 mm f/2.8 IS USM, that is as low-priced or as expensive as an EF 35 mm f/2.0 IS USM – but by far not as good as that! 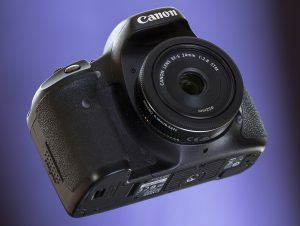 – The price of 150 Euro, spent for the 24-mm-pancake, was the low risk for a surprising good deal. Later image editing changes photographs, taken with a Canon EF-S 24 mm f/2.8 STM, to the better. Nevertheless, beyond the best the results are really remarkable! See my video and find out, if this lens might be a lens for you. But let me promise you: This all-round lens is more than a lens better than none! And is much more than a bad average. If you level the results up by more or less image editing, the EF-S 24 mm STM becomes a really good and modest companion to serve your ambitions. Many examples, included in my video, will show you the advantages and disadvantages of this lens. See the weaknesses and strengths of the Canon EF-S 24 mm F/2.8 STM via 100-%-details. Be surprised and wonder about a real low-budget-lens – landing far beyond low-budget-results. Dieser Eintrag wurde veröffentlicht in Review und verschlagwortet mit all-round-lens, APS-C, short standard lens, wide angel lens von Gerhard Ochsenfeld. Permanenter Link zum Eintrag.